Medlock Area Neighborhood Association (MANA): Predator! 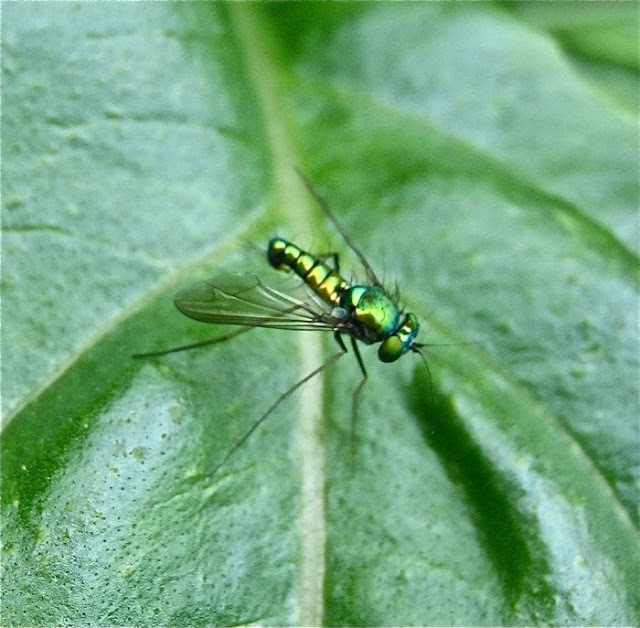 Behold our friendly winged predators, bug gourmands all. 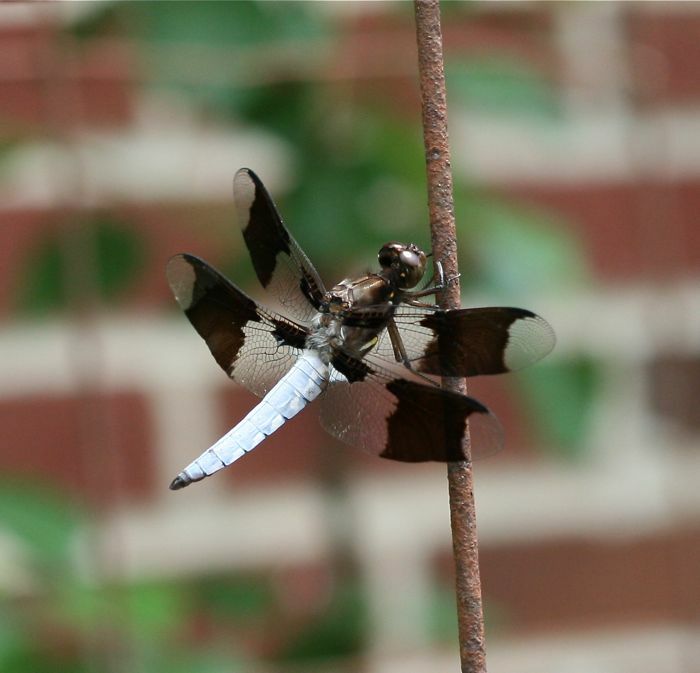 Common white-tail dragonfly aka long-tailed skimmer, male. scarab beetle grubs, yep, those white grubs that eat your grass roots and draw moles into your yard. Long-legged fly, a tiny predator [this one is around 5mm long], guarding a basil leaf. 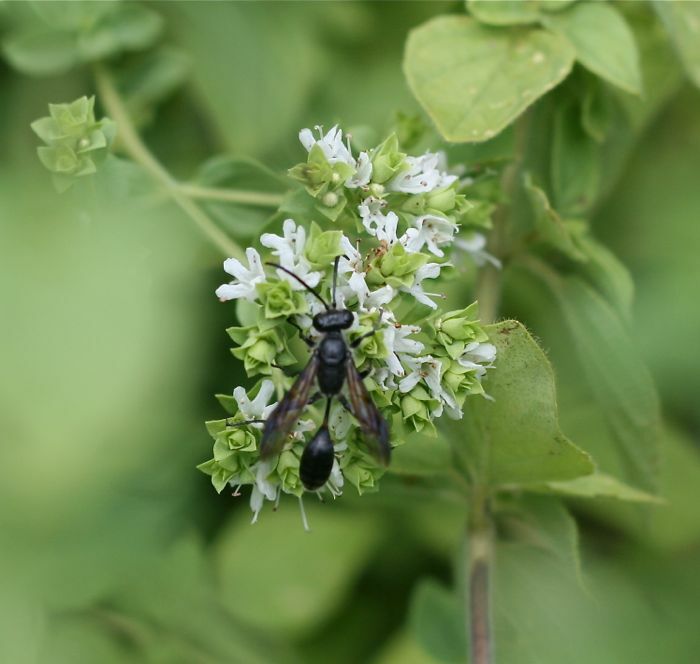 Thread-waisted wasp. 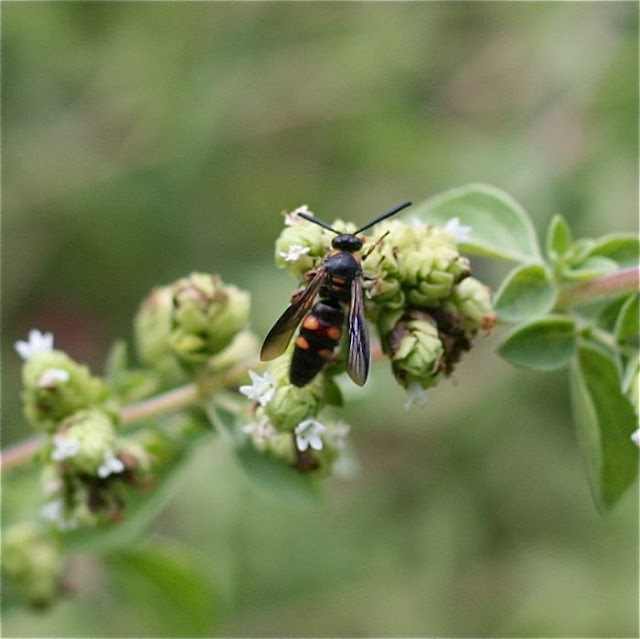 Like the scolid wasp, adults enjoy nectar while babies are reared underground on a strict insect diet. 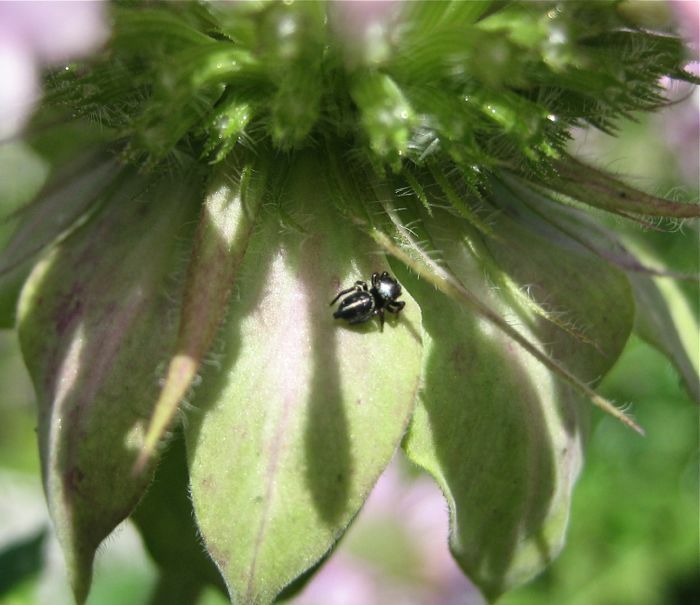 The itsy bitsy spider patrols the bee balm. 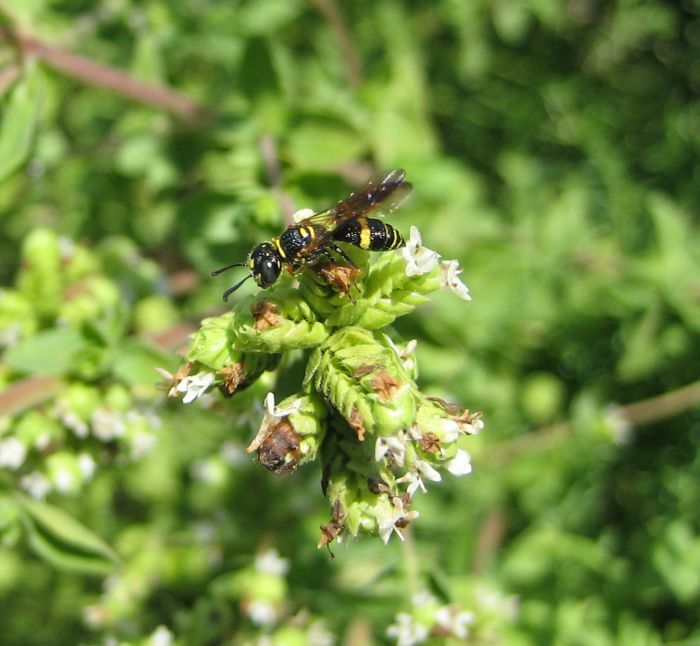 Another smallish wasp, also favoring the oregano.